I always wonder if I have some sort of problem. I have to have things just so! 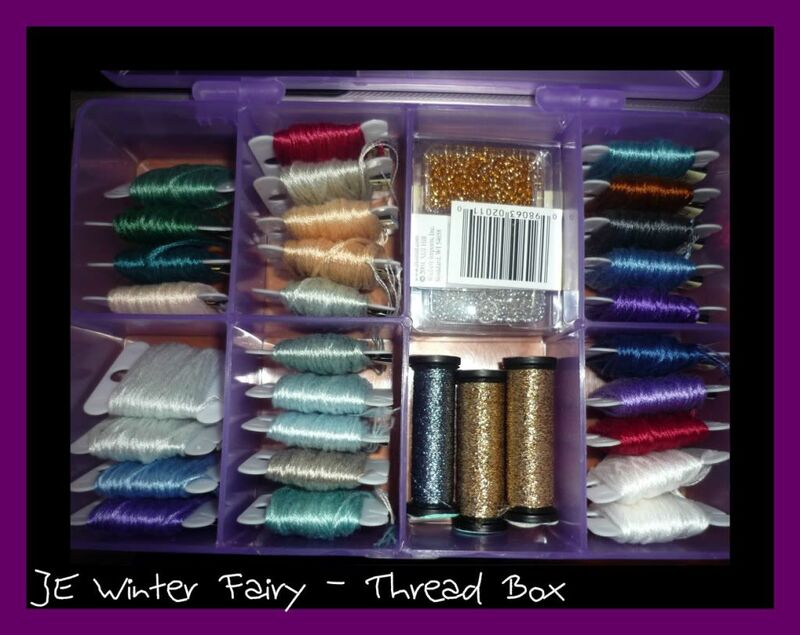 I spent yesterday organising threads for my Winter Fairy. They are now all on Bobbins and sitting in their little tiny box which I bought specifically for this project. They are in numerical order from the bottom right corner as are all my boxes and the tags and all exactly the same way around. I couldn't start until they were organised. I also need to overlock the edges of the fabric, Grid the fabric, make a bigger Q snap cover before I will let myself start the actual fairy. Does anyone else do this? 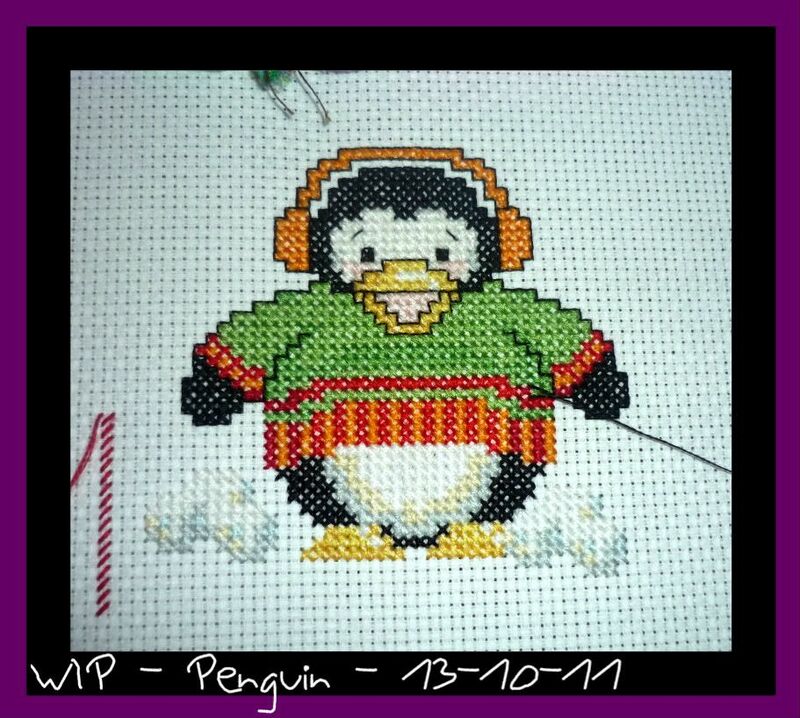 I also have a little penguin update. He is almost finished just a little more backstitching and the border to do. He looks so cute. Anyway I'm going shopping tonight for a new vacuum cleaner so not sure how much stitching I will get done tonight. Found your blog thought the IHSW sign up and I love it. Look forward to visiting you often. You are not the only one who has to have things just so, I do too! Hi! Thank you for joining my blog! Happy IHSW!!! I hope you enjoy IHSW, i like the doggies you are stitching!